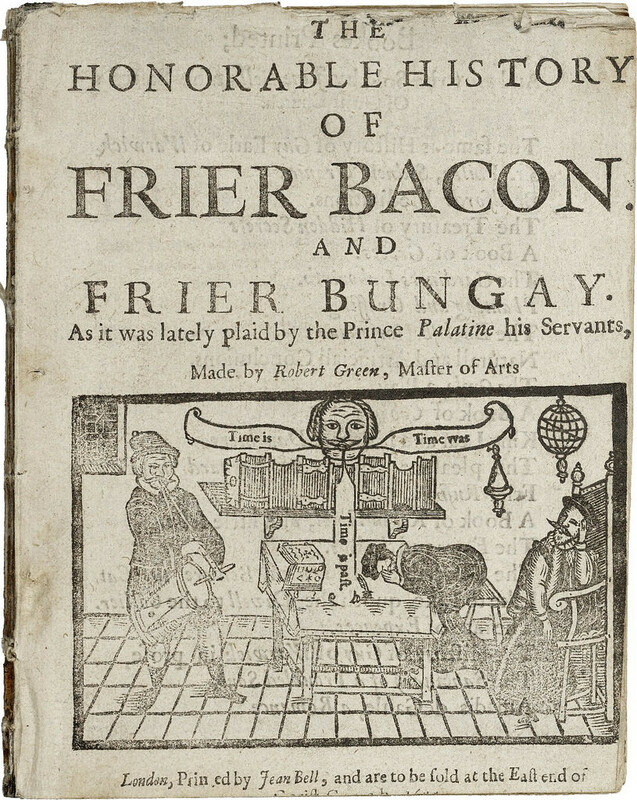 Title page to a 1655 edition of Greene’s Friar Bacon and Friar Bungay, the picture of which features Bacon’s “brazen head” uttering “Time was… Time is… Time is past…” – Source. The only known image of the dramatist, poet, pamphleteer, and initially unrepentant libertine Robert Greene is a woodcut from John Dickenson’s Greene in Conceipt, printed in 1598, five years after its subject had died an early death at the age of thirty-four. Dickenson’s book pretends to be a posthumous publication of the still infamous raconteur, bawd, and wit; the frontispiece depicts Greene as bundled up in his death shroud, a cloth top-not twisted off at the peak of his head. He sits in an ornate chair, hunched over a book in which he is scribbling desperately. Greene seemingly needs to write as much as possible before his untimely expiration, an image of the debauched bohemian penning some sort of confession for his wanton, drunken, scurrilous ways. His bearded face pokes through the death shroud like a woman peeking out through a babushka, and he has a look of dour concern, as if seemingly aware that his gossipy printed accusations against colleagues, his addiction to sack, his whoring, his mistreatment of his family, and his prolific writing for money has led to the sick dissolution he finds himself in. He perhaps is worried about a worse punishment in the hereafter. 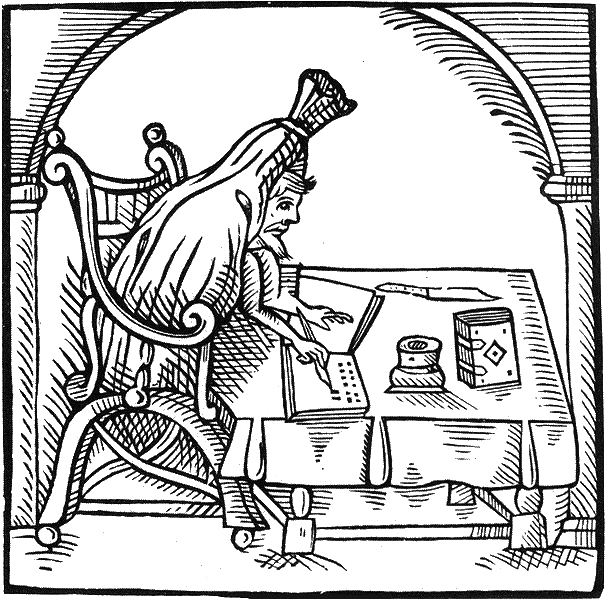 Yet the woodcut is amateurish in a way that makes it inadvertently hilarious; the viewer is able to see under the table-clothed desk that Greene writes upon, yet his legs are not visible, making one wonder if he is without them, or if they are simply very stubby. His arms are thin and awkward looking, and the bundled death shroud gathered about his figure demonstrates less of the memento mori power the artist no doubt wished to convey, but rather makes Greene appear to actually be nothing so much as a particularly erudite, sentient onion. Greene has recently had a resurgence in scholarly interest, in part because he was no slouch of a writer. His 1589 Friar Bacon and Friar Bungay is a rarely performed gem of the early English theater, engaging themes of magic, power, and vanity that if not the equal of Marlowe’s Doctor Faustus is at least a worthy companion piece to it. In the play Greene fictionalizes the career of the infamous medieval Franciscan (and precursor to a modern scientist) Roger Bacon, and his attempts to build a massive, divinatory, conscious bronze head. The piece is thematically fascinating from our contemporary standpoint, and deserves more critical attention than it has received, not least because the bronze head evokes nothing so much as a digital artificial intelligence, while the friar’s attempts to encircle Britain in a massive brass wall remind one of current security state paranoia. 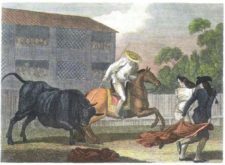 nother depiction of Bacon’s “brazen head”, from an 18th-century chapbook — Source. In addition to his dramatic career, during his short life Greene produced twenty-five prose works, in which he established himself as a London literary character whose personality was as commodified as his actual writing, and whose seemingly outrageous and sinful lifestyle was equally promotional measure for his pamphlets. Professional writing was a completely new innovation in late Elizabethan England, and where playwrights and poets like Jonson certainly had a knack for self-advertising they still craved the respectability of aristocratic patronage, and sometimes a wariness about the so-called “stigma of print”. Greene didn’t exhibit the same uneasiness, he pumped out books at an astonishingly prolific rate. Dr Johnson famously said that only an idiot would write for a reason other than money, if this is the case then Robert Greene was a very smart man, even if his lifestyle was sometimes more threadbare than he would have hoped. As with any writer whose oeuvre is as wide and diverse as his, Greene’s output can be of spotty quality. 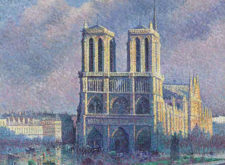 He developed a reputation for desiring notoriety more than fidelity to artistic vision, and yet in this he prefigures the professional writers of subsequent generations, and also the bohemians with whom his name is so often associated. It’s true that bohemianism is a nineteenth-century affectation, drawing its name from the 1851 novel La Vie de Bohème by Henri Murger and celebrated by Giacomo Puccini’s 1896 opera La boheme. It could be argued that the sort of marginal, transgressive, romantic lifestyle attached to art itself requires the deprivations and degradations of a capitalist economy to really develop, something that was nascent in Greene’s day. And in a more practical sense, one could think that Greene’s own crass devotion to making money from cheap print was a rejection of the utopian aestheticism embraced by true bohemians. This, however, would be a mistake, if anything Greene’s grubby, opportunistic attitude towards literary work, coupled with his public persona as an outcaste, makes it hard not to see him as a consummate bohemian. This is not in spite of, but precisely because of, his higher education. A recipient of an MA from Cambridge, Greene was labeled alongside other dramatists such as Marlowe, Thomas Kyd, John Lyly and so on as a “University Wit”, something that he could be overwhelmingly elitist about. 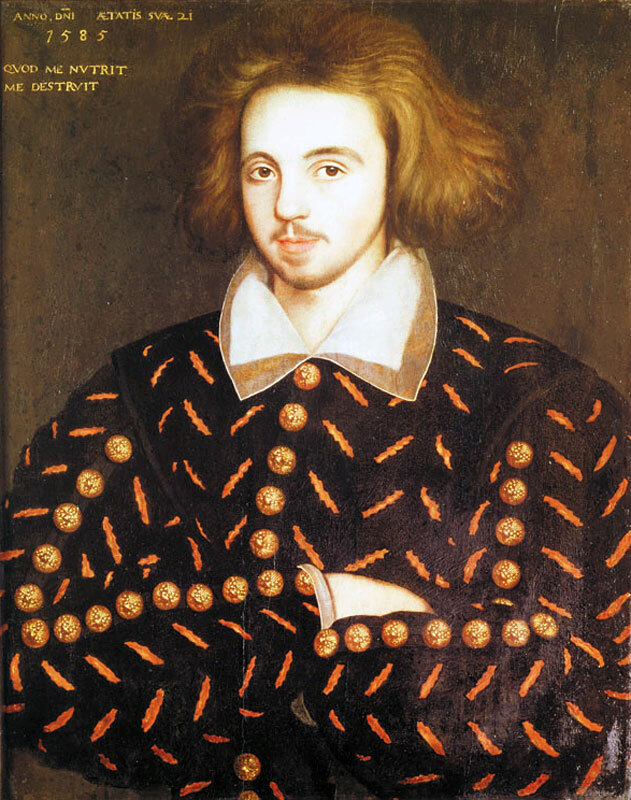 Painting of an unknown 21-year-old man, supposedly Christopher Marlowe — Source. If anything bohemianism from the French symbolists to the Lost Generation to the Beats didn’t just accept but thrived on a certain elitism. The bohemian is after all separate from the stultifying strictures of bourgeois or square society. But central to this vision — whether you’re Rimbaud in the steep, crooked lanes of Montmartre, or Allen Ginsberg in the alleyways of Greenwich Village — is a sense of slumming it. Greene was a good Cambridge man, getting drunk in taverns and whorehouses, denouncing fellow writers in print, and greedily pawing the returns from his work. This doesn’t contradict his classification as a bohemian; it confirms it. With the incantatory and psychedelic style of Friar Bacon and Friar Bungay, the university training, and the rows of smudged pamphlets bringing bank into Greene’s pockets (which ensured another hungover morning) he resembles a sort of early modern William S. Burroughs. Like Greene, Burroughs was also slumming it and his avant-garde novels with lurid covers and names like Junkyand Queer could be found lining the magazine stalls of mid-century Grand Central and Penn Station. 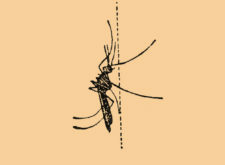 These twentieth-century cheap paperbacks with their primary colored illustrations of leggy dames and muscular young men are the equivalent of Greene’s “coney-catching” pamphlets, which provided the respectable with the secrets of rakish and criminal life much as Burroughs told the middle-class tales of anomie among the marginalized addicts and perverts of New York. Greene titillated readers with stories about “coney-catching” (a euphemistic metaphor for theft, a “coney” was an early-modern term for rabbit), and cut-pursing which involved literally cutting open someone’s bag without them noticing. In his accounts Greene reports the exploits of seedy, dissolute London for his respectable audiences in a glassy, and journalistic tone, supposedly narrating in a repentant voice, but with a sense that a bit of the amoral still clings to its supposedly reformed author. 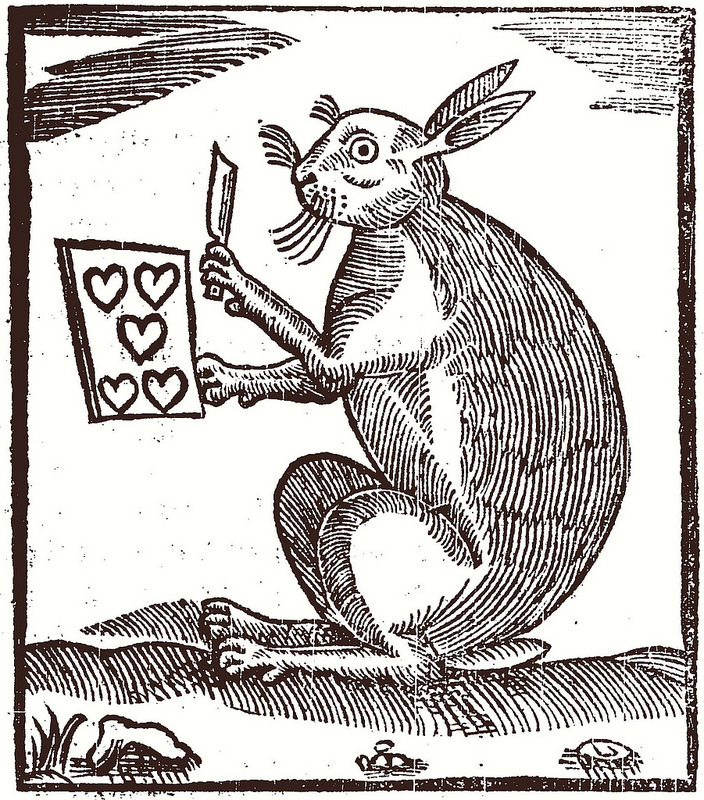 Image from the title page of one of Greene’s “coney-catching” pamphlets, a rabbit with a knife for “cut-pursing” — Source. Greene’s most famous work is A Groatsworth of Wit Bought with a Million of Repentance. It is in a manner a conversion narrative. Yet unlike John Bunyan or John Wesley, Robert Greene has one eye open while he is in penitential prayer. Reformation audiences were like modern evangelicals, they loved a good sinner’s tale, and Greene knew how to lay it on thick. A Groatsworth of Wit combines several modes together: fable, poetry, and memoir are exhibited in the relatively short text, reflecting the promiscuous relationship between fiction and non-fiction that was so popular in Renaissance romance. The pamphlet purports to be the story of two brothers, Roberto and Lucanio and their time spent with a courtesan named Lamilia. Her name is evocative of the succubus Lamia, a beautiful daemon and muse of classical mythology (enshrined in John Keats’ poem of 1820). Upon the death of their father, industrious Lucanio is left the entirety of the inheritance, and Roberto, who is a lay-about, loafing, forever speculating scholar, gets only a groat. After a night of storytelling, songs, and sexual innuendo supplied by Lamilia, Roberto attempts to conspire with the courtesan to fleece his own brother. She betrays Roberto’s confidences and is caste out. He eventually meets an actor who convinces him of the financial possibilities of the theater. Soon Roberto becomes a successful playwright, while Lucanio spends all of his money on Lamilia and ends up working as a pimp. Ultimately, Roberto’s bohemian excess leaves him sick, dying, and broke. While waiting to die, her writes about several playwrights that he has known, and warns anyone who may be interested in working in theaters about the perils in encountering these figures, judged as every bit as nefarious as the courtesans and pimps of Lamilia’s den of iniquity. He writes of a famous dramatist guilty of atheism who many assume to be Marlowe, of a modern Juvenal who it is hypothesized is Thomas Nash, and of a third acquaintance driven to “extreme shifts” to survive, and which it has been conjectured may refer to George Peele. Eventually Greene, rather predictably, reveals that the story which has been told is actually his own. He bemoans how being a Southwark dramatist has doomed his morals and health. Greene unconvincingly asks for repentance, and writes in feigned fear of his impending death. As is the narrative convention of the conversion tale, the reader is treated to some juicy details of not just “Roberto” Greene’s life, but indeed of his interactions with the increasingly famous members of bohemian London. In this way, Greene basically invented the gossipy celebrity tell-all, just as trashy as a tabloid account about the predilections and peccadillos of the inhabitants of Sunset Boulevard. Greene’s pamphlet may have contained a plea for salvation, but he wasn’t going to go to hell before settling some scores. 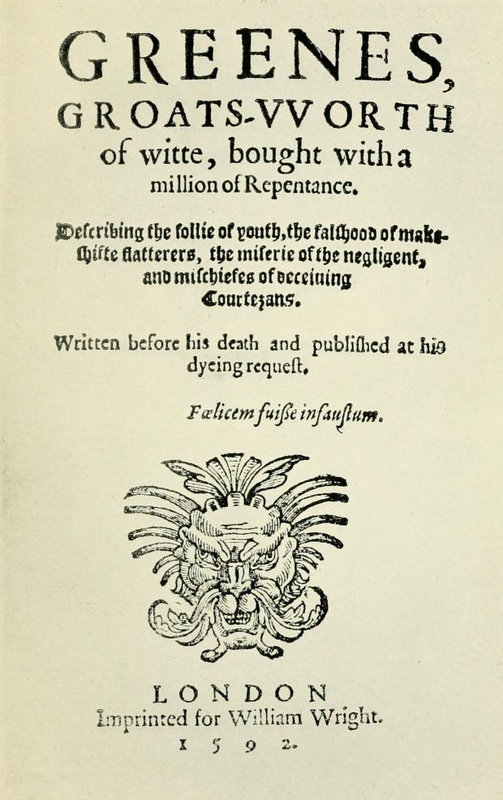 Title page for Greene’s A Groatsworth of Wit Bought with a Million of Repentance — Source. Greene, Marlowe, Nash, and Peele were all college-educated, and represented an upwardly mobile intelligentsia that was reforming English society by finding success through intellectual acumen and not just aristocratic connection. For though they were not aristocrats, that is men denied their “groatsworth”, they were still classically educated, firm in their Greek and Latin, and conversant with traditional culture. Greene reveled in the exploits of the degenerate in his coney-catching pamphlets, but he was resentful of those he viewed as outside his class having the hubris to see themselves as capable as producers of culture (even though his own academic record at Cambridge was less than impressive). Greene’s chief target was “an upstart Crow,” who “supposes he is as well able to bombast out a blank verse as the best of you”. Readers would have understood the “upstart Crow” to be an actor – crows being mere mimics of actual voices and having no language of their own. As an “upstart” he would be one whose young age betrays his ambition as arrogant and naïve. That this actor-turned-playwright “supposes” he is able to “bombast out a blank verse” (the alliteration of the line both slightly ridiculous and also mimicking the explosive “bombast” and arrogance of this writer), belies that this upstart crow is simply a “Johannes factotum”, that is a “Johnny Do-It-All”, or a Jack-Of-All-Trades (and master of none). This Johnny-Do-It-All has beautified his verse “with our feathers.” He has appropriated the “mighty-line” of Marlowe’s unrhymed iambic pentameter with blustery confidence (though he is a mere technician). He has a “tiger’s heart, wrapped in a player’s hyde”, unable to fully escape the stigma of first playing on the stage before he would write for it. This line makes more sense when placed in some context – it’s a parody London audiences would recognize – “Oh, tiger’s heart wrapped in a woman’s hide” – from a play called Henry VI: Part III. 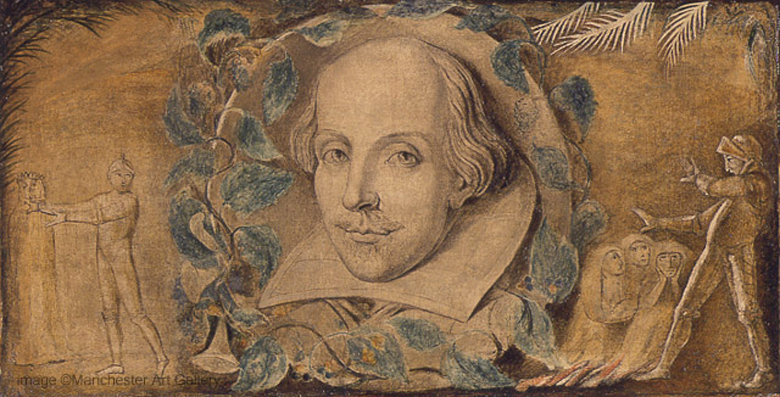 It was by an actor with the hubris to think he could write plays the equal of someone like Greene, a writer by the name of William Shakespeare. Shakespeare as depicted by William Blake in 1800, to the right a scene from Macbeth, and to the left a scene from Hamlet — Source. And this playwright was popular — Greene complains that by his “own conceit” he was “the only Shake-scene” in the country. It’s the earliest known written reference to Shakespeare as a playwright. Baconians, Oxfordians, and all other conspiracy-theorists who doubt the veracity of Shakespeare’s authorial compositions should note that Greene didn’t doubt Shakespeare was the author of his plays, he just didn’t think those plays were any good. But it is to posterity that history inherited Shakespeare’s name, not Greene’s. Jonson shared some of Greene’s prejudice against the workman-like son of a glove-maker from Stratford, infamously saying that Shakespeare knew “small Latin, and less Greek”. And yet he also said that Shakespeare was “the soul of the age”. Greene was ultimately very much of his time, which is in its own way an irreparable literary loss, for our era could be greatly enriched by him. Nobody could credibly claim that he has that talent of the playwright and poet who he so mercilessly attacked in his death-bed confession, but his verse may be able to still speak to us, perhaps even sing. Greene could marry an educated man’s verse with the poetry of the street. 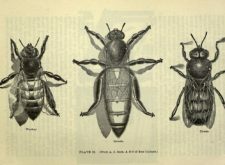 His poem “Weep Not, My Wanton” has the cadence and rhythm of the folk ballads which were just starting to be disseminated through cheaply printed broadsheets, some of which would be collected as Child Ballads and played as music for centuries. He writes “Weep not, my wanton, smile upon my knee:/ When thou art old there’s grief enough for thee./ Mother’s wag, pretty boy,/ Father’s sorrow, father’s joy”. 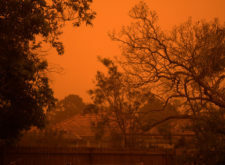 In both content, theme, and scansion it reminds one of the Scottish folk-ballad “Lord Randall” which would first be printed less than two decades later, and would more famously become the basis for the chorus of Bob Dylan’s “A Hard Rains A-Gonna Fall”. Indeed with its simple rhymes, its inverted parallelisms (“Father’s sorrow, father’s joy”) it wouldn’t have been surprising if one heard a musical arrangement of this in a Macdougal Street bar or a coffee shop off of Canal or Houston in the late ‘50s and early ‘60s. Greene, like Dylan and all other high-culture cannibals of folk and popular culture, had an ear for everyday speech and was able to write poetry that sounds simple but not simplistic. What pleasance can process from such a weight? Greene knows he has talent, but now his “gifts bereft” from the “high heavens”. Parnassus is inaccessible, the muse does not speak, and Greene sees “the murder of my wit”. Well into his thirties Greene wasn’t a young man anymore, especially in an era which saw death call on many so much earlier than in subsequent generations. And yet there is a bit of the Romantic death in Greene as an artist whose excesses pushed him to the edge of creativity, and mortality. Robert Greene’s prayer, featured as the frontispiece to Green Pastures, an 1894 anthology of his work — Source. 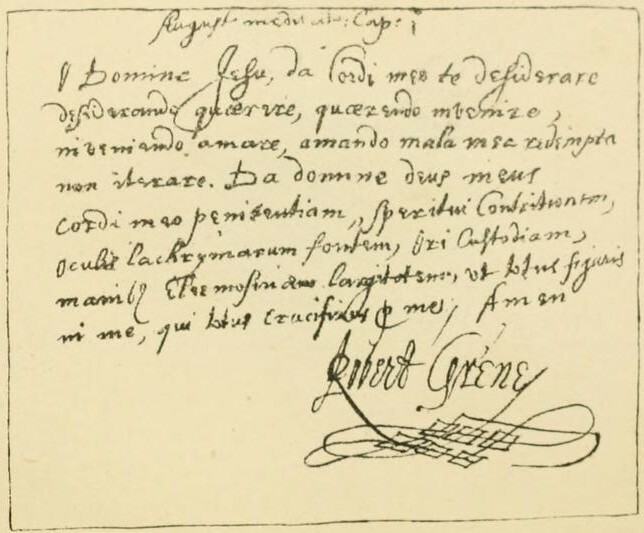 If the nineteenth-century had Keats and Rimbaud, and the twentieth our “Club of 27” composed of rock stars who expired before infirmity, than Greene is a worthy candidate for the sixteenth century. He writes of poetic inspiration “Because so long they lent them me to use,/ And so I long their bounty did abuse”. He begs unsuccessfully that “Oh that a year were granted me to live,/ And for that year my former wits restored!” He ends “My time is loosely spent, and I undone”. If we’re to believe the literary critic Stephen Greenblatt, Shakespeare got his final revenge on the dead Greene when he based one of his greatest characters on him: a drunken, cowardly blowhard by the name of Falstaff. We can’t retroactively diagnose what killed Greene at the age of thirty-four. The writer Gabriel Harvey wrote that it was because of “a surfeit of pickle herring and Rhenish wine”. Based on what we know of his lifestyle cirrhosis seems not unlikely, though one can’t discount the possibility of venereal disease (even if he didn’t bear the trademark physical deformations or madness of syphilis). 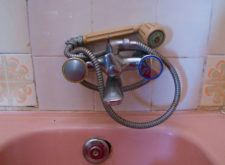 Perhaps it was a combination of causes. Poets had died young before – Philip Sidney was famously slain by a bullet at Zutphen, Henry Howard the Earl of Surrey was felled by an axe of Henry VIII, and Chidiock Tichborne, whose youth was “but a frost of cares”, was executed by order of Elizabeth. But the aristocratic Sidney was a martyr for the Protestant cause in defence of the Dutch during the Eighty Years War, and the other two were killed for political and religious reasons. Greene was simply a hack writer and versifier. He is the first of a type, the artist pushed to extremes who has the courage to go beyond the edge into excess, but who does not have the strength to return. Ed Simon is a PhD candidate in the English department at Lehigh University. He specializes in transatlantic seventeenth and early eighteenth-century literature with a focus on religion and colonization. His writings have appeared in various publications, including The Revealer and the Journal of the Northern Renaissance. He is also the assistant editor for the Journal of Heresy Studies. He can be followed on Twitter @WithEdSimon.